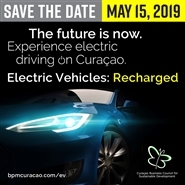 May 15th, 2019 in Willemstad, Curaçao - The Curaçao Business Council for Sustainable Development (BedrijvenPlatform Milieu - BPM) and Aqualectra have joined together in a working group to organize a seminar on Electric Vehicles (EVs). May 31st, 2019 in Willemstad, Curaçao - The first edition of the International Rum Festival is an opportunity to meet and greet rum ambassadors from all over the world, and to participate in rum masterclasses provided by market leading brands. 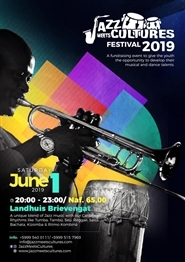 June 1st, 2019 in Willemstad, Curaçao - Jazz Meets Cultures is a unique blend of Jazz music with Caribbean Rhythms like Tumba, Tambú, Seú, Simadam, Ritmo Kombina and Reggae. July 20th, 2019 in Willemstad, Curaçao - Celebrate together with the Colombian community of Curacao their Independence Day. The festival will include music, food, crafts and cultural activities.